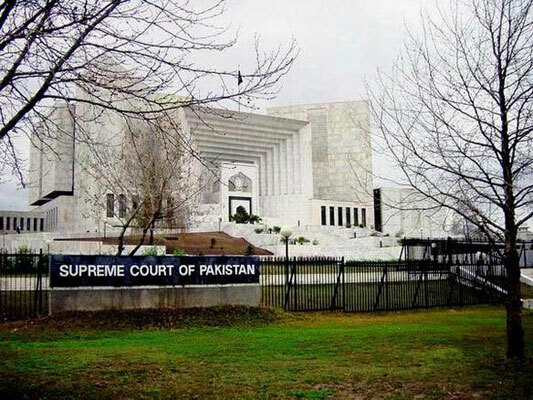 ISLAMABAD: The Supreme Court of Pakistan has banned all evening classes being offered at law colleges/universities across Pakistan and has given guidelines for the improvement of law education, local media reports have informed. The verdict was announced by a bench comprising of Justice Umar Ata Bandial, Chief Justice of Pakistan Mian Saqib Nisar and Justice Ijaz ul Ahsan. The order has also banned admissions to three-year LLB programme adding that a five years LLB programme shall be introduced in September, 2019. The order further stated that a university that neither offers a law programme nor is recognised by the PBC shall not grant unauthorised affiliation to any institution pretending to be a law college. Accordingly, several law colleges were ordered to be closed down immediately. Those affected by this are to be pursued by the concerned affiliating universities to assure that such students continue to pursue their on-going LLB programme till completion. Similarly, the court also said that no law graduate, from any foreign university recognised by the Punjab Bar Council, shall be allowed to take the Law Graduate Assessment Test (LAW–GAT) unless he or she passes a Special Equivalence Examination for law graduates of foreign universities. The order added that admission to LLM and PhD programmes by an authorised law college/ university/institution shall be granted on the criteria laid down by HECP, including, the ceiling on the number of students fixed for admission to such programmes. An Implementation/Monitoring Committee for enforcing the directions given herein shall be constituted by the PBC, which shall be chaired by Chairman, HECP or a senior functionary nominated by him. The court noted that over the years, the legal profession has attracted more and more people as a career of choice. This has led to a growing demand for institutions imparting legal education to train lawyers for the Bar and the Judiciary. It added that careful monitoring, supervision and enforcement of standards has been lacking due to complacency and neglect.